Yahoo Inc. have finally released two new iPhone apps for the iPhone OS.Though too late to launch the Yahoo! search app, they today unveiled another app called Yahoo! 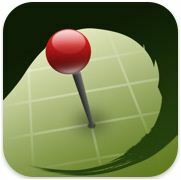 Sketch-a-Search, which with a finger touch can provide you with visual results. Yahoo! Search app is a basic app that simply does a keyword search and present you with results arranged in a neat tabbed manner. 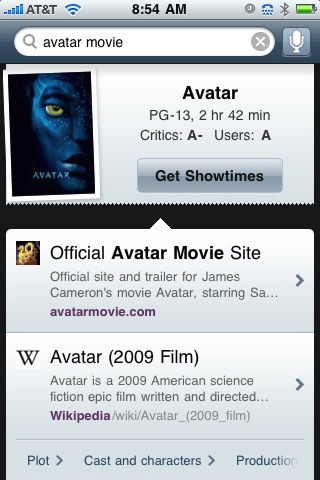 The links open in the app itself .One can even search for movie timings,restaurants etc. The app supports voice inputs and we were pretty much impressed with the response of the voice engine.The auto complete complete feature of the app is an added advantage. Best of Yahoo! : Get results from Yahoo! Sports, News, Finance, Movies, and more— designed just for the iPhone. Yahoo! Sketch-a-Search app can turn a finger touch to visual results. It will present you with a bird’s eye view of your restaurant results, well within your reach.Search can be narrowed with the type of cuisine, atmosphere or rating.As of now only restaurant search is available, but many more features can be expected soon. The information you need: Get phone numbers, ratings, directions, photos, and menu pricing at-a-glance.